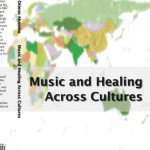 Music and Healing Across Cultures unfolds the mechanics of the relationship between music, healing, and the cosmos. It shows the organizing power of this tradition in its ability to even promote mind/body coordination in schizophrenics. This systematic, scientific approach to ethnomusicology and anthropology stands as a beacon light to those researchers who wish to make use of an ancient and wiser time when drums and restraints were preempted by creative energy and inner calm. Those incapable of feeling happiness are found dancing with joy. Those who could not speak are singing. The early cosmos was said to sing like a bell. These acoustic oscillations were referred to in the writings of the earliest inhabitants of Taita and Bali, as melodies of nature. Along with swirling dances, this music was meant to nourish the body and the earth from the heart of our most inner being. Drums, glissandos and dance movements promoted increased coherence in the physiology and related its function to certain healing qualities of nature. The following text Music and Healing Across Cultures unfolds the mechanics of the relationship between music, healing, and the cosmos. It shows the organizing power of this tradition in its ability to even promote mind/body coordination in schizophrenics. This systematic, scientific approach to ethnomusicology and anthropology stands as a beacon light to those researchers who wish to make use of an ancient and wiser time when drums and restraints were preempted by creative energy and inner calm. Those incapable of feeling happiness are found dancing with joy. Those who could not speak are singing. It is my privilege to bring the blessings of this ancient culture to our present time in hopes that we will pursue this knowledge in its purest form and to not only study but participate in its fruits. You can buy the book directly from Culicidae Press by using the Add to Cart button below. You can also order from Amazon at the normal retail price. Special pricing is available for students and faculty with .edu email addresses, as well as libraries and bookstores. Please go to our Contact page and send us a note, and we’ll give you a quote. David Akombo is an Assistant Professor at Jackson State University in Jackson, Mississippi, where he has taught music education and world music courses since 2011. Intrigued by the peculiarities of music including the interdisciplinary studies of music in medical and psychological practices, Dr. Akombo has studied and researched the effects of music on children and young adults both in schools and in hospitals. As scholar and performer, Dr. Akombo balances his research interests amicably as a music educator, ethnomusicologist, composer and singer/drummer, having worked in Africa and Southeast Asia where he studied with Balinese artists. 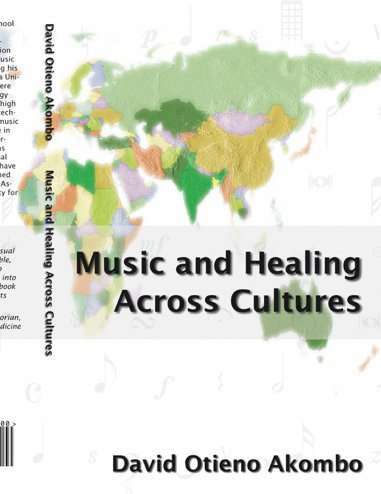 His books, including this one and Music and Medicine: Connections Found (Seaburn, 2009) unfold the mechanics of the relationships between music, culture, physiological and spiritual states in people from the anthropological and epistemological inquiry regarding from music healing and the cosmos. The books show the power of music and its ability to promote mind/body coordination. Before Dr. Akombo joined Weber State University he worked jointly with the University of Florida’s Center for Arts in Healthcare Research and Education (CAHRE) and he helped establish the Arts in Medicine (AIM) program in Nairobi, Kenya. Located at Mater Hospital and funded by the State of Florida Center for Cultural Affairs in Tallahassee, this is the first known Arts in Medicine program to be established in Africa. 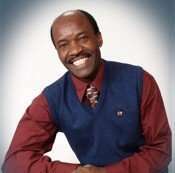 Dr. Akombo continues to be active in music education research, world music and he has given lectures and conducted clinics in many states, and is a member of the Music Educators National Conference, the Utah Music Educators Association, American Music Therapy Association, Society for Ethnomusicology, and Society for the Arts in Healthcare. He is a co-founder of the Interdisciplinary Society for Quantitative Research in Music and Medicine and its 2011 Inaugural Conference Chair.